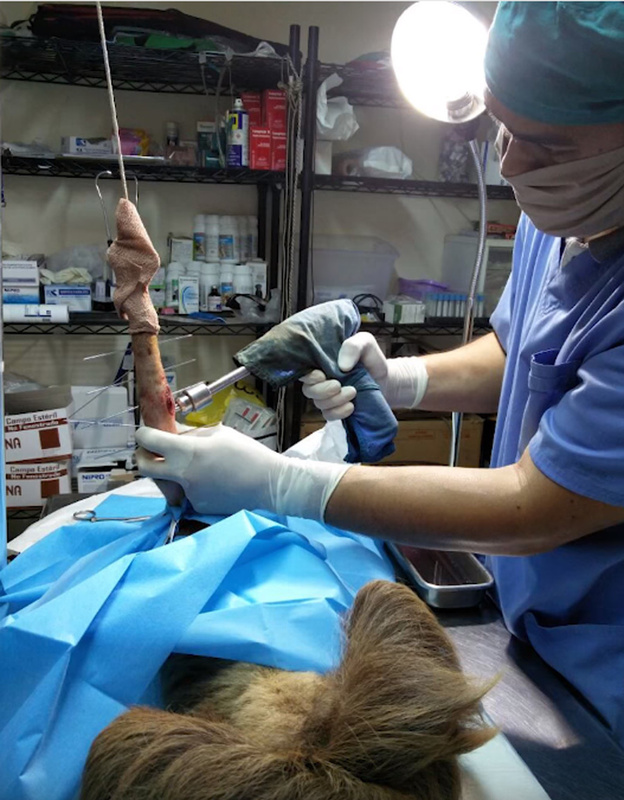 A VICIOUS dog attack broke this sloth’s arm in two places, but thanks to her rescuers she has been released back into the wild. 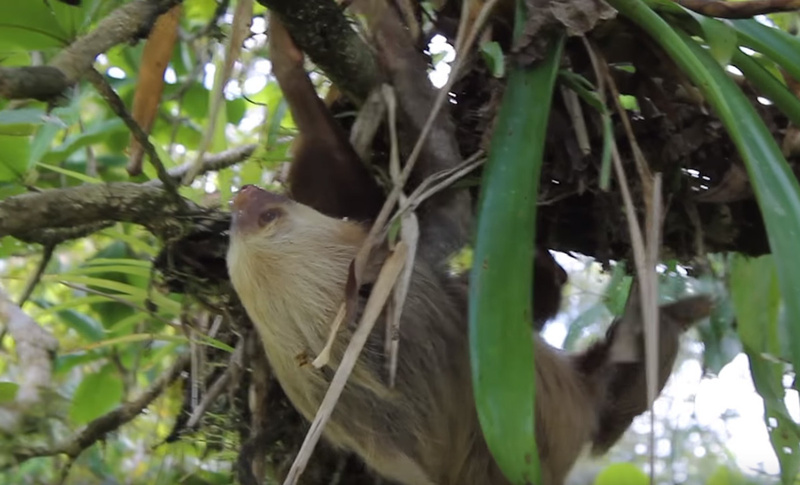 This sloth is lucky to be alive! 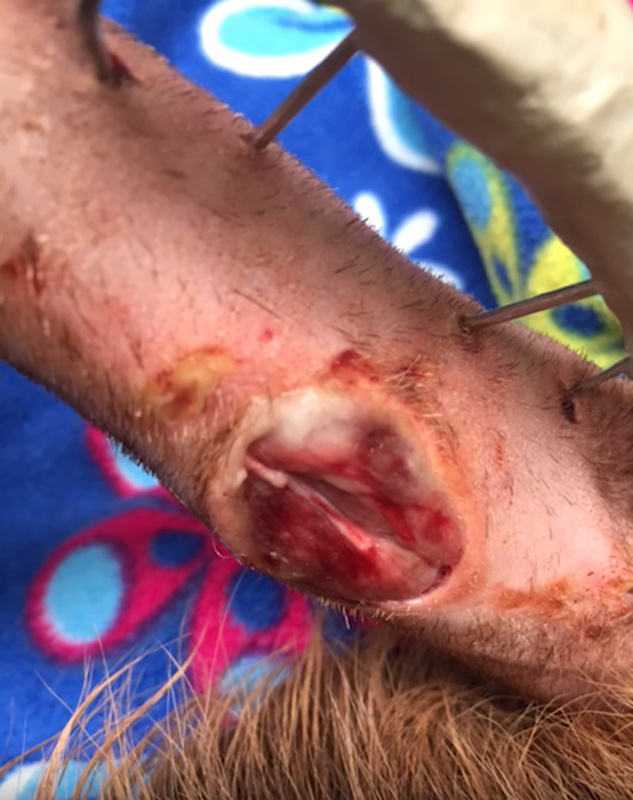 A group of local people in Sarapiqui, Costa Rica, intervened in the nick of time as they pulled the sloth from the jaws of three vicious dogs. The savage attack left the sloth, which has now been named Tina, with her arm broken in two places and bite marks all over her body. 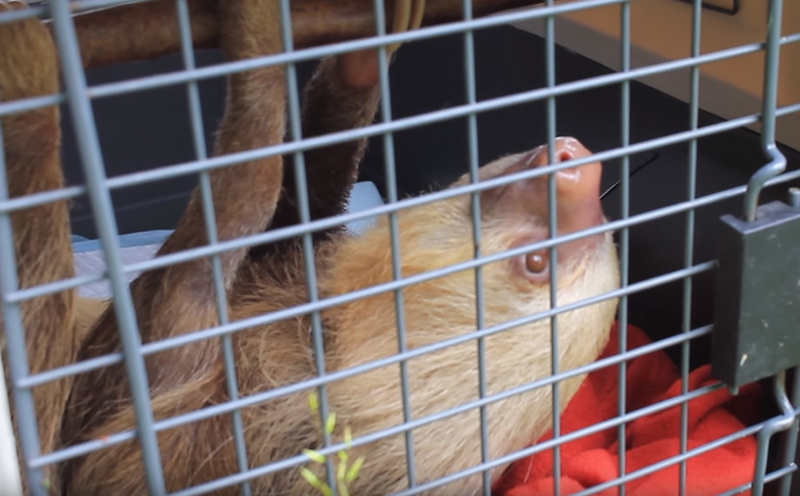 Although her injuries were serious, thankfully locals called the Toucan Rescue Ranch who arrived quickly to take the sloth to their centre for treatment. Don’t be confused by their long and sharp claws, this animal is gentle by nature. 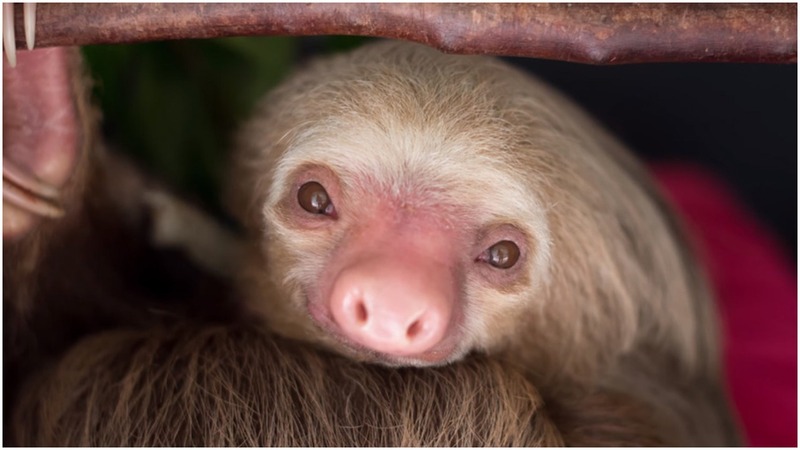 Sloths are found in Central and South America in the tropical rainforests. Most of their day is spent sleeping; about 15 to 20 hours per day. They keep themselves atop trees to keep safe because they move at a painfully slow rate, hence, making it easy for natural predators to attack them. 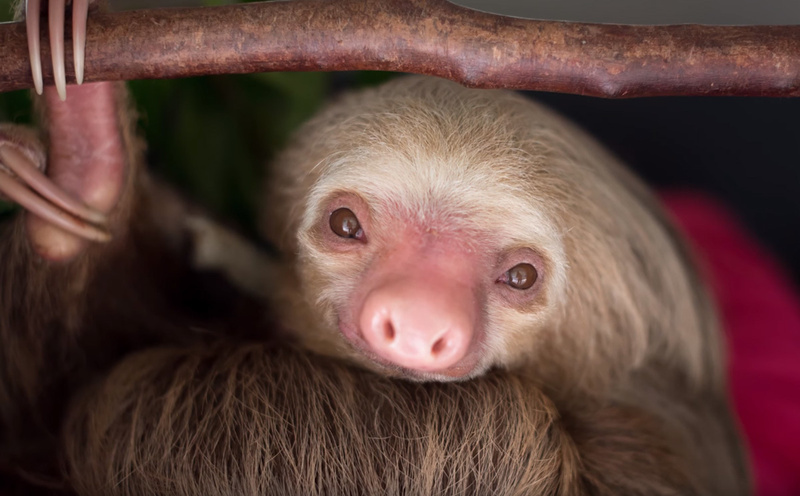 A female sloth was brutally attacked in Sarapiquí, Costa Rica. It is believed the sloth was attacked by dogs who were led by a group of hunters. Her flesh had been ripped and most of the fur was ripped off one of the arms. Locals heard the animal screaming in pain, prompting them to act quickly, and call for help. he dogs had to be pulled off of the sloth. It was apparent she had been injured and getting her help immediately was of the essence. 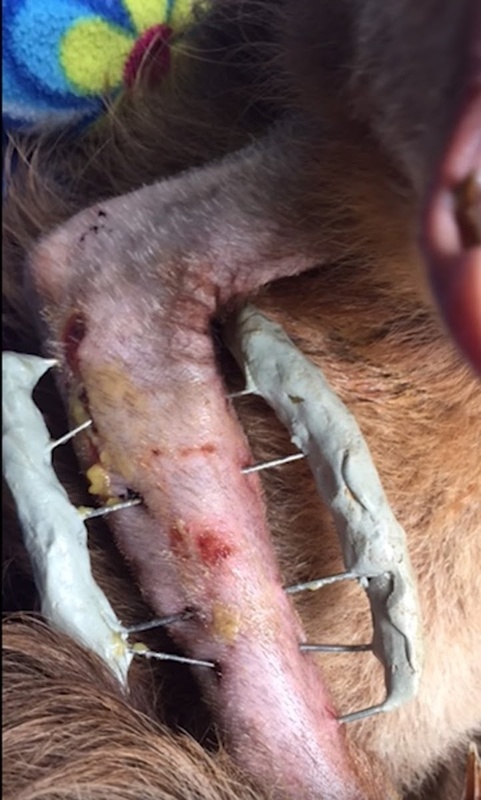 Moving her became a challenge since any touch and movement made the animal cried out in pain. In the attack, the sloth’s arm was broken in two places. Employees of the Toucan Rescue Ranch transferred the animal to the city of Heredia. She Put Baking Soda On Her Toes… And Solved One Of Life’s Most Annoying Problems.